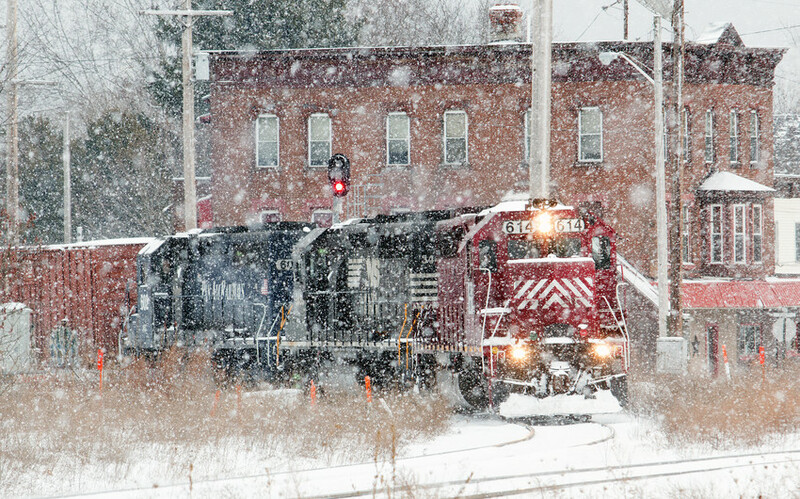 MEC 614 leads EDRJ into Mechanicville at XO. Photographed by Railfanbear, January 30, 2015. Added to the photo archive by Railfan Bear, January 30, 2015.